WHAT WE EAT WEDNESDAY: PUMPKIN SEEDS & DATES — CJR Acupuncture - Kelowna Acupuncture, Western Herbalism, Shiatsu, Reiki and Integrative Medicine. PUMPKIN SEEDS. 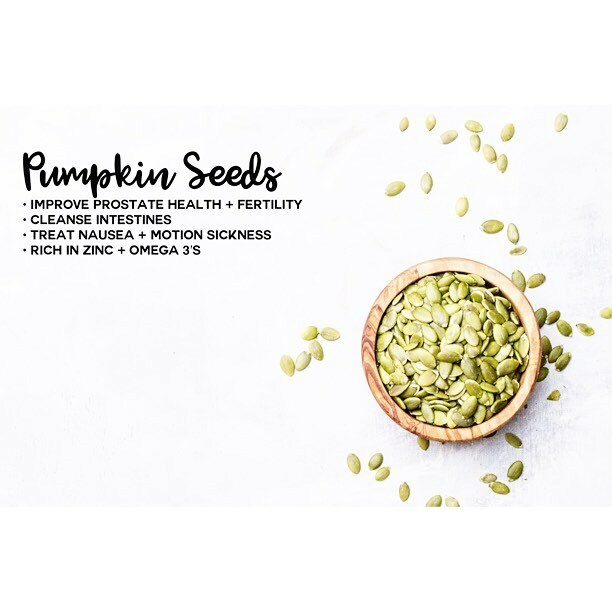 ||| #whatweeatwednesday Pumpkin Seeds are incredibly rich in Zinc - a mineral that is important for reproductive health - Adding 2 Tablespoons of Pumpkin Seeds or Pumpkin Seed Butter to your daily routine can be very helpful for improving Prostate Health, Low Libido & Infertility. 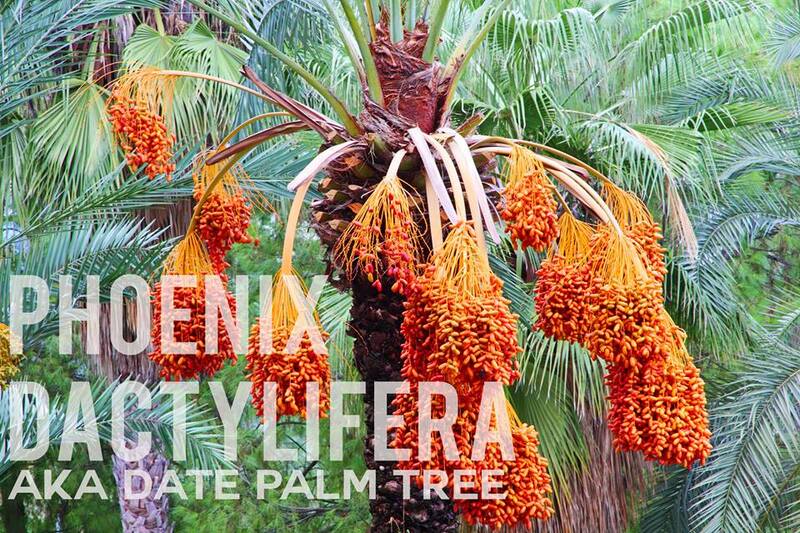 Some Random Health Tidbits about dates & why we think you should eat more of nature's CANDY!! 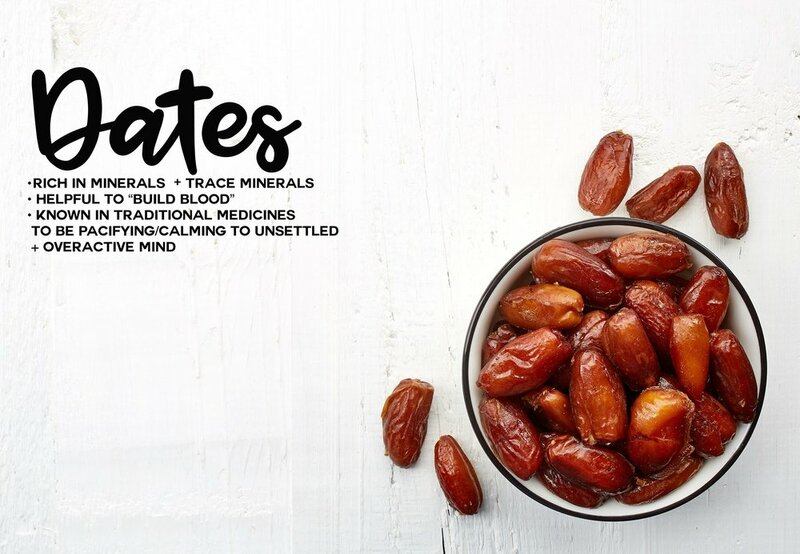 • Many Traditions believe that eating one date a day lends to good health, also that eating a date before meals can help to reduce the desire to over-eat. • In Traditional Chinese Medicine, a related species of dates commonly known as Jujube/Chinese Date or Da Zao is used to tonify digestive (Spleen) energy, nourish blood and calm the spirit and is often used in formulas for anxiety and insomnia. Instead of a recipe this week, we encourage you to try a simple medjool on its own - they are truly nature’s candy!! We also recommend adding them to your morning cereal/porridge/puddings/yogurts/smoothies and replacing portions of sugar in baking with dates to add a little more of a nutrient kick ;).